I was a M.Tech (Matka) in IIT Bombay during 2007-2009. These are few accounts of this life. I stayed, all of my time during my post-graduation, in Hostel-9, Room No 133. In second year, masters student usually change their hostel to 12, 13 or 14. I did not like those big hostels. 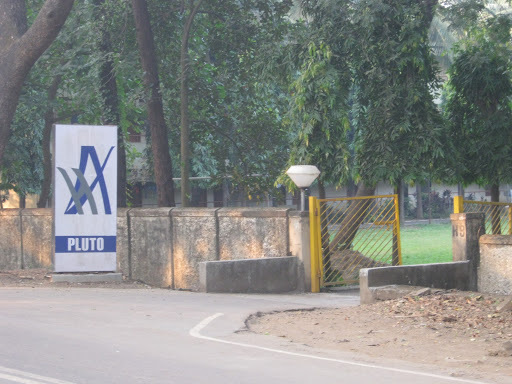 Hostel 9 is named ‘Pluto’ which was stripped of its planetary designation in solar system when I was spending my time there. That made me feel little sad. The illuminated sign-post which had the words ‘Hostel – 9’ on it was, over time, reduced to ‘Hot el -9’ .. ‘Ho el -9′ ..’H -9’. and finally to …. The biggest plundering happened when guys from IIT-R stayed there during Inter-IIT sports meet. From ‘Hostel 9’ to ‘Ho tel 9’ was done by us but from ‘Ho tel’ to nothing was someone else’s deed. Since 2007 hostel 9 has seen a colossal increase of Matkas. This was visible when ‘T-Shirts designs’ were put-up for voting and the best-design was choosen had up-votes were only from ‘Matkas‘. In early morning, a comment was there on the paper, ‘Tatti, ek bhi B.Tech. nahi hai list main’. This hostel is small and old. My room was on ground floor and the Monsoon could be very rewarding and irritating at the same time. After every rain you can see few crabs fightening each other. One of them would grab a stick and run like hell for his hole. Few crows would come and do a lethal ‘beack-work’ on tiny crabs. Sometime a crab would appear in your room, take a tour and then disappear from the same door. The lizard was also a curious animal sitting at a same place like a philosopher and getting fatter day by day making ‘tic – tic’ sound in the night. After a year, when my room-mate departed to H-13, my room was only to be knocked at election time. Seeing me lying on bed almost exhaused they’d smile and would say, ‘Final year?” “Yes, Matka Max..” That would increase their grin. Running away from them was the hardest thing to do. I missed my room mate on those occasions. He had the quality of getting interested in these kind of stuff. Elections in IITB are somewhere between the Indian General Election and JNU’s elections. H9 had a pool table on which I played rarely and a nice small badminton court, on which i’d never played. Some small small programms were always there, but matkas hardly take part in them and I was not a different pattern. Electrical Engineering department is considered the best EE department in India. I was in microelectronics group about which Prof Vasi commented in physical electronics class, “There was a time that we found it very hard to find jobs for our graduates, now most of you have come here for good jobs.” These days it is happening in Nuclear Technology and may be IIT Kanpur – Nuclear technology would be the next hot-shot. This dept has some stalwarts, Prof. HN (networks), Prof Vasi (cmos), Prof DKS (as a teacher – vlsi and embedded), Prof MPD (VLSI design and embedded system), Prof Gadre (‘Bhims Pitahmah of signal processing’, My co-guide remark), Prof Agashe (Control systems, physics, funde).. Prof Lal (in Analog design , now left), Prof VRR (nano-tech, dept. expansion, PR), Prof S Chaudhary (image processing) and very promising young faculty members. Few department in IITB uses all of its facilities as they are used by EE dept. Prof Dinesh Kumar Sharma, DKS, pronounced DuKS is a remarkable man, ask any on his students. His students are known as Ducklings. A man of rare energy and enthusiasm; and of course has a loud voice. If you dissect him, you surely will find a small nuclear reactor inside him. That kind of energy can not come from food he eats. He doesn’t need a loudspeaker in class but uses one; passes some of the most witty comments is the class and ask his class that atleast 20% of them should come back to IIT. I’ve never taken his class and yet He was my guide for M.Tech project. When DKS is in presentation, you should be damn sure of what you are talking about. The quality of presentation is best maintained when he is around. If anyone of IIT-B is reading this, try to get him in your presentation. He walks very fast, and its really hard to catch him.While you walking with him discussing something, he’d walk slowly so you can keep up with him, almost in zig-zag fashion, just like a child with his mother. He never uses lifts and does not use A.C. of his office. Reason is simple and very profound. I got it this way. In EE-Annex NanoE facilities ACs always keep entrance of EE-Anex cool, when we entered , He would remark that this is really relieving from his hot-humid HOD office. On which I’d ventured, “But there is an AC in your office?” “Yes there is, but there is no A.C. for every faculty, This is my satyagraha and I cant use it till there is AC for every faculty.” He made me feel so small but that did not prevent me to switch on AC in CHAR2-Lab. He wanted to see the poster I had made for INUP. After seeing my poster, there was a comment, “Why this comment, ‘The figuere is showing’…. Consider this ‘I am having three children’.. what does this mean?…. Either I am in the process of making three children or I am eating three children…. Make is ‘figure shows’……” And I burst into laughter. Then there was placement time. “What is happning in your placements.” “Getting shortlisted, but can not control my mouth…” “Seekho yaar, bolna chalna… Hero bano.. :-)”. “Un logo ne [my current company] phone kiya tha tumhare barein main, maine khoob tarif kar di hai, meri lutiya mat duba dena waha.. :-D” This I told him NS who talked with DKS before confirming my offer. He laughed and said, “Haan, tareef to unhone bahut kee thi. IITB ke sare pschyco hote hai kya.” “Tum IITD wale lafango se to theek hi hote hai.. :-)” I replied to him. NS is happy I joined them and I am happy I got a friend here, I can talk with him the way I like – this rarely happes. At the time of my final presentation, his last remark was, “Tum bahut bade item ho, ab ye forms to le aate. Do din ki chchutti hai. ye lo inhe xerox karo, whitener use karke ye naam hata dena, fir xerox karna aur aaj hi submit karo warna 15 din tak rukna padega. ye log ja rahe hai. Is duniya main kabhi to kuch time to bitaya karo..” Well, from ‘tumhari gand fat jayegi” to this bashing I’ve learnt a lot from this man. Prof Agashe was giving his introduction to one of his friend on third floor of GG building , “He is HN, he likes to switch-off the fan and tube-lights.” “yes I am quite an expert in that.” HN’d said. I though I should attend his lectures. I had the chance for taking ‘Fundamental of VLSI CAD’ instead of ‘Hardware Description Language’. But then I took advice and still regret it. So in the next semester, I have taken ‘Advance Network Analysis”. Hardly 7-8 students were there in this course. Mostly his students! Only I and Manoj Johnson were there from Microelectronics dept. Manoj argument was simple, “Grades are easy in this course.” Mine was stupid so I did not tell anyone. During his first lecture he said, “…..This makes network analysis more stronger…” Then he realised ‘more stronger’ does not make any sense. He stopped and laughed at himself. Then I knew I did not have to think before I speak. So when he’d draw a 3-D geometry and ask us, “…it is right?” I replied, “Yes, it is making sense.” He’d chuckle. I never missed any of his lectures even if they are in the morning. They were delight. Partly on his lectures, partly the freedom he grant his students to think. He is a commited teacher, just like Prof. Vasi and Prof DKS. He also worries that JEE is losing its discriminatory power because there are lot of students who are not doing well despite of putting there best effort. he meets student 12:30pm every working day to sort our their personal problems. I also went to him few times. And He probably likes drinking tea. When I went to him to get recommendation letter for PhD. position at Institute of Mathematical Science, He said, “No, I cant not give you for mathematics. You are having this quality and problem of not able to concentrate. See, you have gone through some kind of A,B,C,D kind of examinations. They say somethig about you that you are good at discarding wrong choices. What was your rank in GATE?” “1”. “Dont think you are great”..All time I kept smiling but I liked his A,B,C,D analogy of GATE exams. I also thought that way. In fact, after coming across few M.Tech and B.Techs., I started to doubt whether there is any point in these exams. He fondly remembers his B.Tech. and Ph.D. days specnd in IIT B library when there was no AC and how he understood Whitney papers about matroids while sweating. Whitney rose to prominence later, but HN was so happy that he figuerd it out that this man is great. While saying it, his right hand would mimic ‘vande matram’ kind of action. There are lot of professors these days who do not get tired giving you funde what to do for success (market?) – which in itself a nobel cause, creating jobs in my land is need of time. This man argument about publishing his result is simple, “You need to survive in this world so you publish your paper.” So here is a guy who don’t care about all these blah blah. I like him. Others will be remembered by those hands who labour only for success.